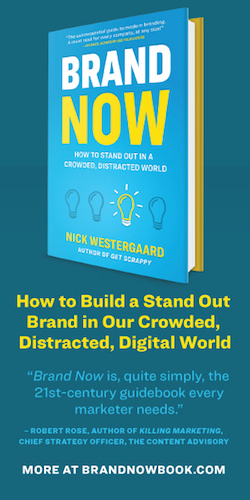 Keynote Speaker and Author Nick Westergaard - Is Branding Over? You’d be surprised how often I hear statements like these. As you can probably imagine, it drives me nuts. Granted, I’m biased. I own and operate a brand consultancy. 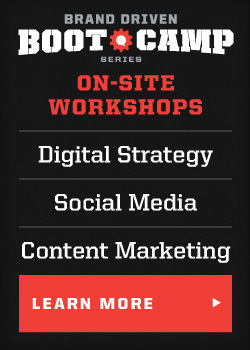 Digital brand building is one of the subjects I teach at the University of Iowa. 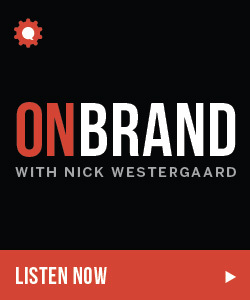 I’ve interviewed nearly 200 guests over the past four years on my branding focused podcast, On Brand. 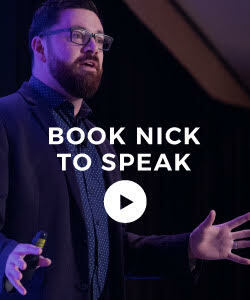 I speak at conferences and corporate events throughout the world on the subject of branding. 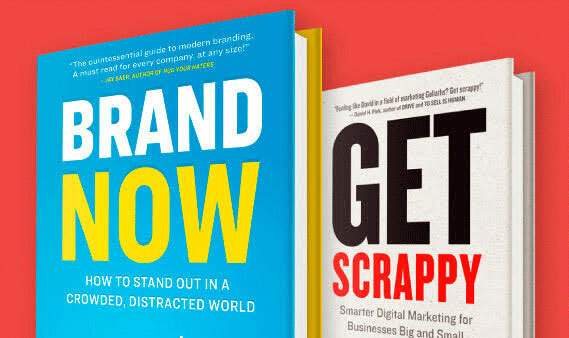 In May of this year, my second book Brand Now came out on the subject of — wait for it — branding. So, yes, I’m what you’d call “in the tank” for branding. A sketch on the IFC series Portlandia features a hipster played by Fred Armisen (complete with beanie, chin beard, and ear gauges) going from scene to scene, enjoying his favorite things only to discover that others have taken up these same hobbies. At which point, he pronounces, “It’s over! Chin beards are over! Shell art is over!” Is branding over? 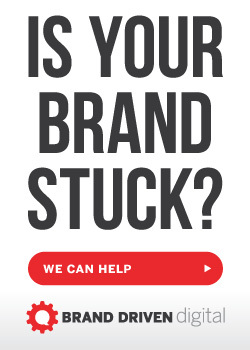 Honestly, while consulting, writing, teaching, and speaking about branding, even I have that momentary thought, “Everybody knows this already, right? I mean, branding isn’t anything new.” And then my fears abate. In the Portlandia sketch, the punchline stems from the fact that the Armisen character’s identity is threatened as others adopt what he’s doing. They’ve made his interests common place. Conversations about branding have become similarly common place. It’s easy to fall prey to the same short sightedness seen in Portlandia. Branding isn’t over. But it’s changed. At the risk of sounding trite, branding has a branding problem. The history of branding goes back to the Dutch East India Company. The shipping company used brands burned onto boxes to differentiate one product from another. In the American West, we adopted this idea first for cattle and other products we wanted to distinguish during the industrial revolution. Over time, this came to include a complex set of identifiers such as words and icons (think brand names, slogans, and logos). Broadcast media of the twentieth century — TV and radio — quickly became the most powerful tools for reaching the masses. Want to grow your business and build your brand? Buy more ads! ‘Broadcast media’ started being categorized as ‘brand advertising’ on the marketing budget. This fusing of branding and advertising is one of the reason’s it’s easy to think that branding is over. With the rapid growth of digital channels over the past twenty years, marketers have rightfully called everything into question especially that big piece of the marketing budget — brand/broadcast advertising. But these new digital tools still help us do what we’ve always tried to do with tools from print ads to broadcast — build brands that are distinguishable from the other brands on the market. Brands have to stand out to succeed. And that’s harder than ever in our crowded, distracted, digital world. Want to grow your business and build your brand? The answer today isn’t as simple as just buying more ads. Even more digital ads. 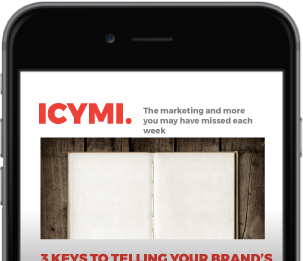 In fact, with the rise of channels like Facebook, Instagram, and Snapchat along with the adoption of mobile technology, the average consumer is exposed to thousands of brand messages each day. It can’t just be about more ads. To stand out today, brands have to stand for something. You have to connect your brand with a meaningful part of your customers’ lives. It’s not just about the widgets you sell. It’s about what you mean to those you serve. Meaning is at the heart of strong brands from BarkBox to Warby Parker. These standout brands know it’s not about dog bones and eye glasses. It’s about loving your dog and making style affordable. Once you understand your brand’s unique meaning, you can tell this story across all of the touch points that make up your brand experience. ← What Does Your Writing Look Like?